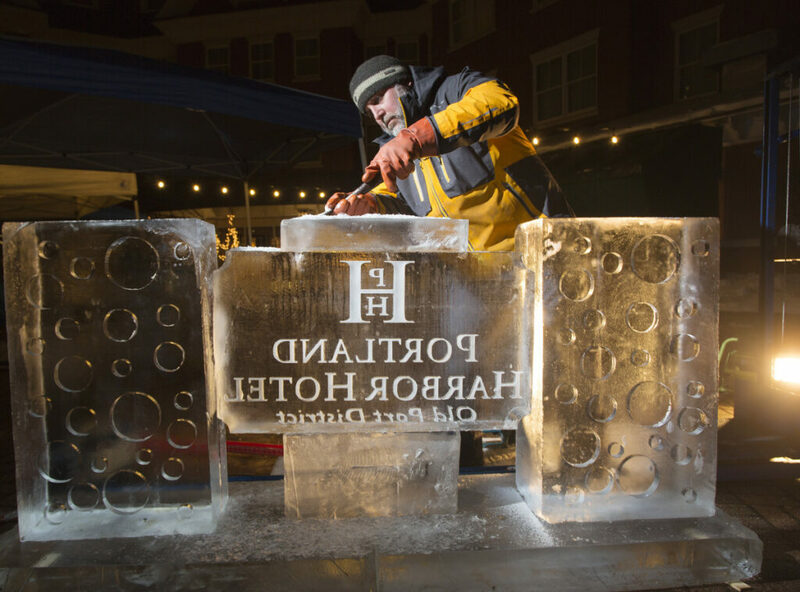 Portland Harbor Hotel holds its annual Icebar fete to benefit local nonprofits. Jeff Day, of Ice Designs, works on one of the ice bars Wednesday for Portland Harbor Hotel’s annual Icebar weekend, which raises money for Greater Portland nonprofits. • The Root Cellar, an East End organization dedicated to meeting the needs of inner-city youths and their families. With ice sculptures, signature cocktails, fire pits, food and dance, the hotel’s ice bar has raised more than $100,000 in charitable donations over 13 years, according to the hotel. Last year the event raised $9,000 that was divided among Trauma Intervention Program, Rippleffect and Full Plates Full Potential.